19 years ago this month, I was fortunate to play in the biggest and most important amateur golf tournament in the world; the US Amateur. That year it was held at iconic Pebble Beach Golf Links, which is as familiar as any course in the world to anyone who plays golf. The previous year I had qualified and competed-in the US Amateur at Oak Hill Country Club in Rochester, New York, so I was no stranger to the event. 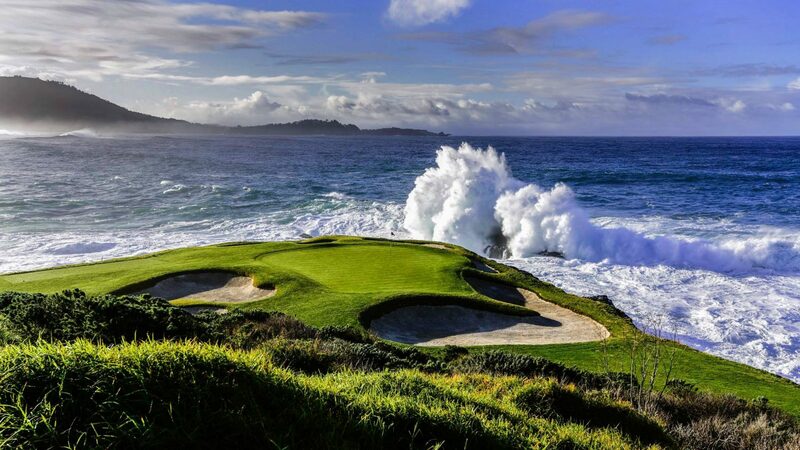 But there was just something so special about playing a national championship at Pebble Beach. Even the way I qualified was special. I had torn a tendon in my finger about a month prior to the qualifier, and hadn’t touched a club in the weeks leading up to the event. I was something like 7 over par in the first 9 holes, hitting it everywhere and showing everyone just how rusty I was. Then the switch flipped, and I played my last 27 holes in something like 10 under par to get myself into a 3-man playoff for the last spot in the US Amateur. The playoff consisted of myself, another college aged player, and by far the best amateur golfer ever to come out of the state of Maryland (I’ll call him “the legend”). The other college player bogeyed the first playoff hole and was promptly eliminated, leaving myself and the legend for the last spot. The second playoff hole was a tough par 3 over water. The legend went first, hitting the green safely. I did the same. His 30 foot putt missed, and somehow, my 20 foot putt found the bottom of the cup. Despite not playing for a month before the qualifier, I had somehow earned a place in the biggest amateur event in the world, at perhaps it’s most famous American venue. The cut for match play that week was 152, the highest it had ever been in the history of the US Amateur. This time around, 19 years later, the cut for match play was 147, a full 5 shots lower than it was when I played. Perhaps the rough wasn’t as thick or deep this time around, and perhaps the greens weren’t quite so firm and fast. But I suspect the reason the scores were so much better involves the quality of golfer and the improvement in technology. College and pro golfers are much longer hitters these days, and as a result, they shoot much lower scores. They’re better athletes and they play better equipment, allowing them to do things on a golf course that the previous generation (my generation) just couldn’t do. It makes me glad that I played my college and professional golf when I did.